The Stone Roses are to headline next year's V Festival. 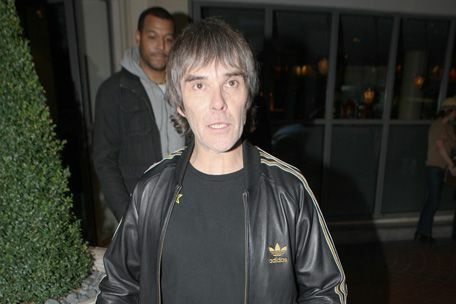 The reformed band - Ian Brown, John Squire, Gary 'Mani' Mounfield and Alan 'Reni' Wren - are to take top spot on the bill for the annual UK music event which takes place at Chelmsford, Essex, and Staffordshire in August. The 'Waterfall' hitmakers could be set to earn around £1 million for playing the festival, which has previously been headlined by Oasis, Rihanna, Eminem and Kasabian. A source told The Sun newspaper: "The Roses' upcoming tour has been put together by SJM, the same tour promoters who have looked after Take That, Oasis and Coldplay for their massive shows. Every year V Festival pulls in some huge acts. Eminem and Rihanna, who played this year, will be tough acts to follow, but The Roses are a massive draw." It is set to be a busy 2012 for The Stone Roses who are playing three sold-out concerts at Manchester's Heaton Park next June and have been confirmed to be headlining the T in the Park festival in Scotland in July. The four-piece will also be headlining Benicassim in Spain and Fuji Rock in Japan next summer and are believed to be banking around £1 million per festival after already raking in £10 million for the open air Manchester dates. The tour sees the legendary band play their first live shows since splitting in 1996. Singer Ian and guitarist John didn't speak for over a decade but reconciled their friendship after meeting again at the funeral of Mani's mother earlier this year.